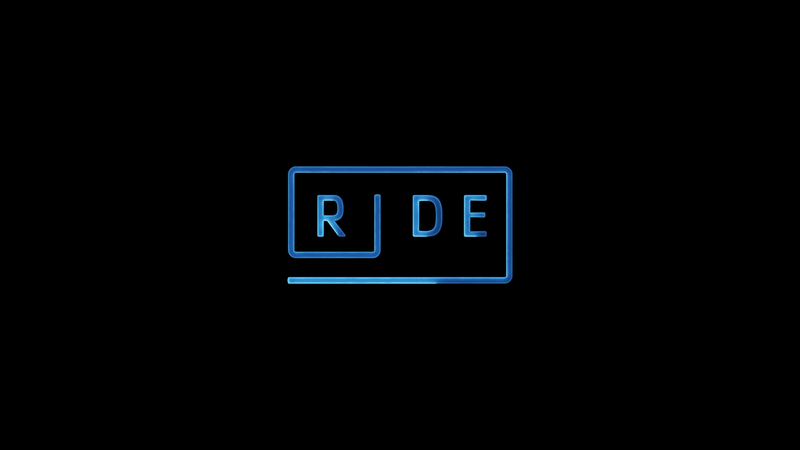 Ride had an interesting idea that never is quite fulfilled and a finale not entirely satisfying either. That said, the performances from the three leads were alright and writer/director Jeremy Ungar, with his D.P. Rob C. Givens, had a nice style to it. Plot Synopsis: A struggling actor by day, James (JESSIE T. USHER) pays his bills by driving people around Los Angeles for a ride sharing service. His night starts out like any other, but he can’t believe his luck when he picks up the beautiful Jessica (BELLA THORNE), and they immediately hit it off. His next fare, the fast-talking Bruno (WILL BRILL), convinces James to go back and invite her to join them for a wild night out. But things take a shocking turn when Bruno, armed with a gun and a twisted idea of fun, forces them on a terrifying, white-knuckle ride that quickly spirals out of control. 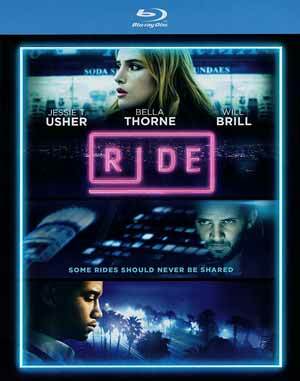 Quick Hit Review: Ride seems like a cross between Drive and Collateral, though those two movies are certainly far better than this film which does feature some okay performances by Jessie T. Usher (who is a lot better here than in Independence Day: Resurgence), Bella Thorne and Will Brill. However, the plot, such as it is, has much to be desired and doesn’t present the same sort of suspense and/or thrills. On the positive side, there is a cool style to it, keeping with the current climate bringing back the 1980s, this one with some of the great neon colors. This release comes with a reflective and title-embossed slip cover. Features only include the original Short Film (15:41) this is based on and a Stills Gallery. As mentioned in my review, Ride does feature some great and vibrant neon colors which does pop off the screen. Detail on this 2.35 widescreen presentation of a 1080p transfer, is sharp and nicely defined throughout and is clean. It does appear this was shot digitally as it does at times show off some fine digital grain, kind reminiscent of Mann’s work on Collateral, perhaps due to the movie mostly takes place at night or very early dawn. The movie comes with a well balanced DTS-HD Master Audio 5.1 track but with most of the film being dialogue, or the artificial voice on James’ GPS/”Uber” or “Lyft” device, you’re not going to get anything terribly in-depth. The only aspect there’s much depth is with Paul Haslinger’s (Underworld, Resident Evil: The Final Chapter) wonderful score. Overall, Ride had an interesting idea that never is quite fulfilled and a finale not entirely satisfying either. That said, the performances from the three leads were alright and writer/director Jeremy Ungar, with his D.P. Rob C. Givens, had a nice style to it. The Blu-ray release from RLJ offers up good video/audio transfers but was lacking in the features department.